Here’s a round-up of another busy week of learning. Jan 22nd: It’s important to keep a journal because memory is unreliable. Today I was reading what I’d written last summer and it brought back memories of things I would otherwise have forgotten. A journal transports you back in time. Jan 23rd: I learnt how to set in a sleeve by stitching two lines of easing, gently gathering, painstakingly pinning, carefully basting, and finally machine sewing. Jan 24th: I refreshed my knowledge of the English language, courtesy of William Strunk’s The Elements of Style, a useful reference guide. Jan 25th: Cars might be convenient but there is something magical about train journeys: relaxing as you are transported through the countryside, stopping briefly in places you’d forgotten about, or never visited, or not even heard of. 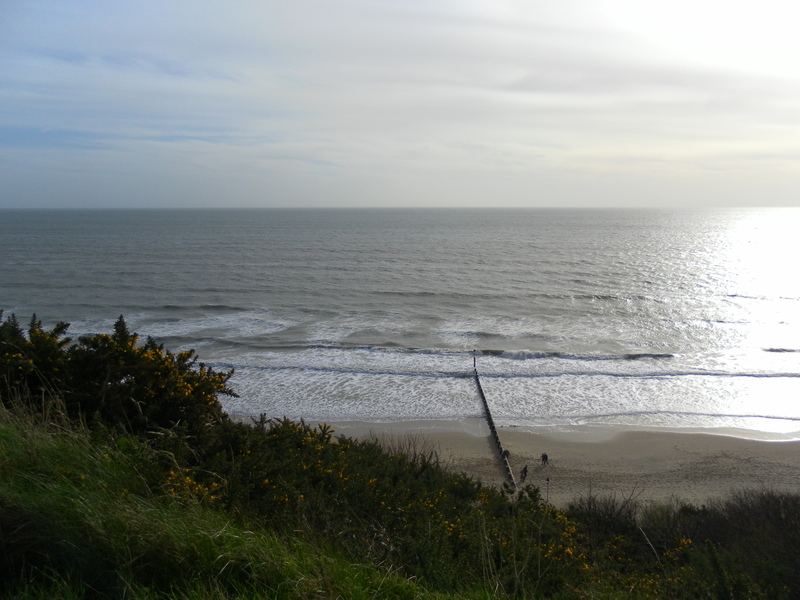 Jan 26th: Bournemouth (Dorset, UK) is as beautiful as I remember it: sandy beach, cliff top walks, the chines. Even the sun couldn’t stay away this weekend. Jan 27th: Having a change of scene for the weekend makes time slow down and allows you to look at life from a fresh perspective. Jan 28th: According to Tim Ferriss, author of The Four Hour Chef, you can learn two years’ worth of cookery skills and techniques in a mere four hours. The process can be applied to almost anything you want to learn. We commonly consider that learning something new is going to take a long time. Perhaps it only takes so long because that’s what we expect. If we believe we can grasp it quickly, maybe this will become a self-fulfilling prophecy. What have you learnt quickly? This entry was posted in Life and tagged books, Bournemouth, happiness, inspiration, journal, language, learning, life, reading, sewing, thoughts, time, travel, wellbeing, writing. Bookmark the permalink. Well that proves that it really can be done and you know what they say: use it or lose it!